The world renowned Situk River, a slow moving wilderness stream, is ideal for fly or spin fishing for Native Rainbow and Cutthroat Trout. The fish are numerous and the action fast! Truly a trip of a lifetime. Stream-side cabin accommodations. This trip can be combined with Steelhead fishing. Steelhead trips operate April and May. Fish average 10 – 12 pounds with fish in the 17 – 20 pound range not uncommon. Drifting down this clear water river with is pools and runs provide the perfect arena for catching one of the hardest fighting, fast action fish there is to catch. 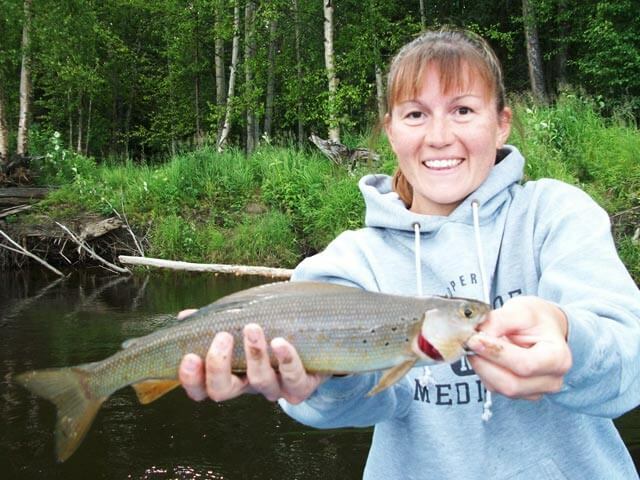 Whether you are fly fishing, drift fishing, or spin casting, we will put you on the fish!